We've been working on getting things ready for Thanksgiving, mostly decorating. My daughter has been watching me make all kinds of projects, and wanted to do one for herself. We had a lot of fun doing this project - so much so that we now have a whole rafter of turkeys taking over! (Yes, we learned a lot making these turkeys... Just FYI: a group of turkeys is called a "rafter" and the red dangly part is a "wattle"!) Fun + education is always a win at our house. Have your child choose three colors of construction paper. 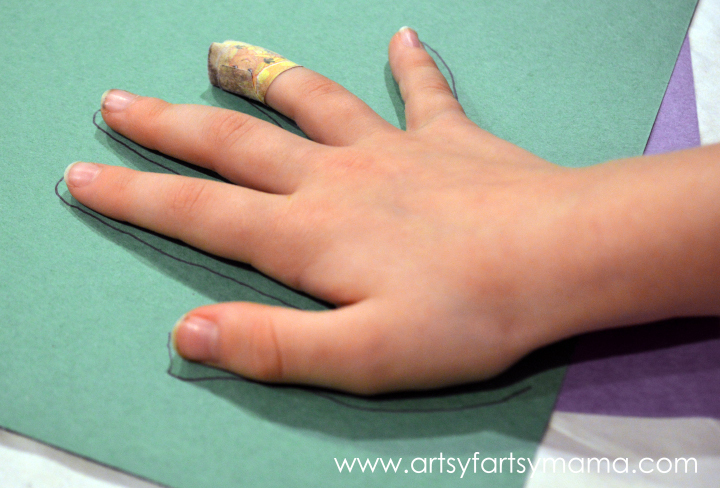 Trace your child's hand on each page with a pen or pencil, and cut the hand out. If your child is comfortable using scissors, they can help with this step. If not, you can cut it out for them and stay close by in case they need help with any other steps. Cut out a small triangle and a little red squiggly shape for the beak and wattle. 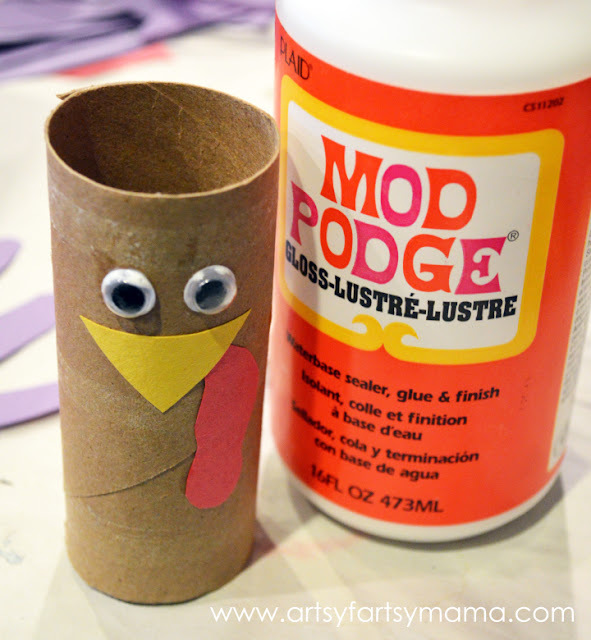 Glue the beak and wattle on the toilet paper roll with Mod Podge or Elmer's glue. Hold for a few seconds until the pieces stick to the roll. Next, attach the eyes with glue and hold until secure. Overlap the hand cutouts and glue in place. Let dry for a couple of minutes, then attach to the back of the turkey. 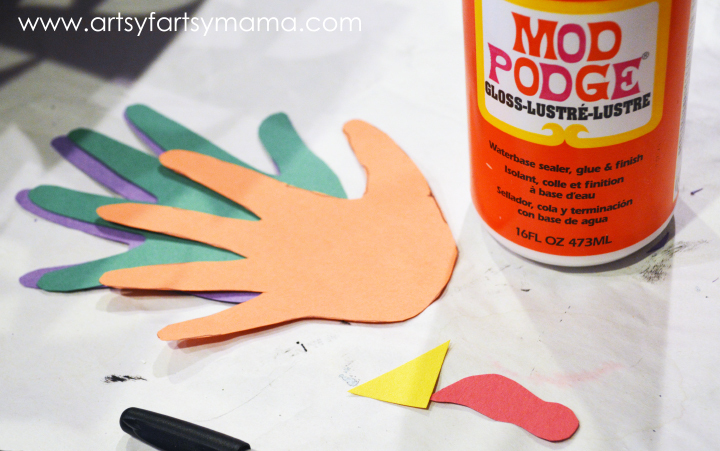 You could also let your kids color or draw on the handprints before gluing, or if they are older, they could even write what they are grateful for on each hand! Once dry, you can put these little guys on display, use as place cards on your Thanksgiving table, or write a note and place inside for a little gift. I was thinking it would be really fun to add a piece of paper to the bottom, then fill with candy to give to friends, neighbors, or family. 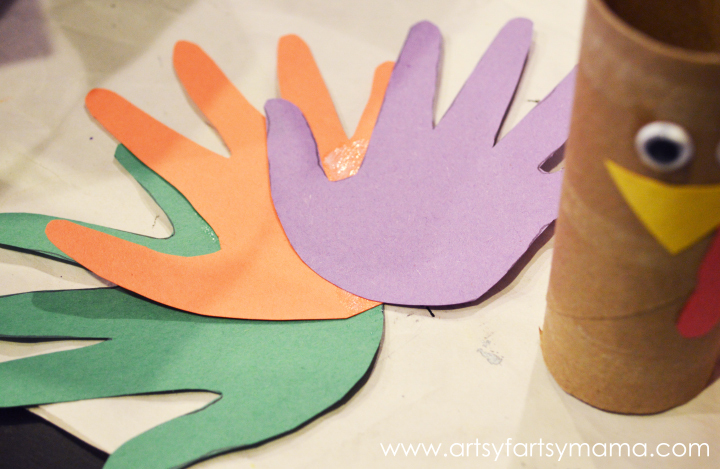 I totally keep a bazillion toilet paper rolls lying around to craft with. This is easy for the kids to! Thanks! 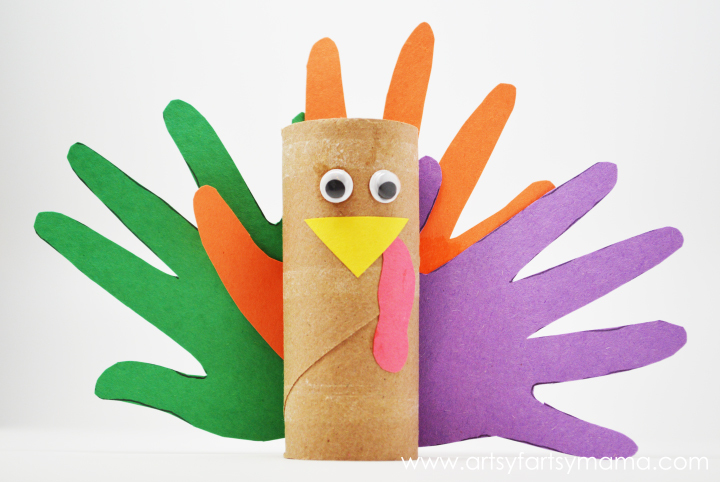 I love a good toilet paper roll craft. I make my family keep most of ours for activities as fun as this one. Super cute! I always feel a little guilty throwing toilet rolls away. See I told my husband my hoarding was justified!